Researchers at Bournemouth University have developed a new software technique to uncover ‘lost’ tracks, hidden in plain sight at the world’s oldest human footprint site in Laetoli (Tanzania). The software has revealed new information about the shape of the tracks and has found hints of a previously undiscovered fourth track-maker at the site. The software was developed as part of a Natural Environments Research Council (NERC) Innovation Project awarded to Professor Matthew Bennett and Dr Marcin Budka in 2015 for forensic footprint analysis. They have been developing techniques to enable modern footwear evidence to be captured in three-dimensions and analysed digitally to improve crime scene practice. The Laetoli tracks were discovered by Mary Leakey in 1976 and are thought to be around 3.6 million years old. There are two parallel trackways on the site, where two ancient hominins walked across the surface. One of these trackways was obscured when a third person followed the same path. The merged trackway has largely been ignored by scientists over the last 40 years and the fierce debate about the walking style of the track-makers has predominately focused on the undisturbed trackway. By using the software developed through the NERC Innovation Project Professor Bennett and his colleagues have been able to decouple the tracks of this merged trail and reveal for the first time the shape of the tracks left by this mysterious third track-maker. There is also an intriguing hint of a fourth track-maker at the site. Bournemouth University is at the forefront of developing digital methods for the analysis of modern footprint evidence. 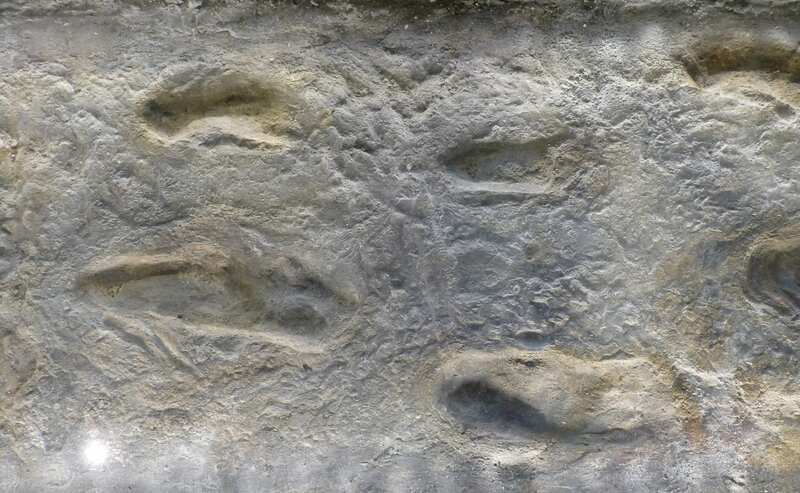 “We’re really pleased that we can use our techniques to capture new data from these extremely old footprints,” says Dr Marcin Budka who developed the software used in the study. “It means that we have effectively doubled the information that the palaeo-anthropological community has available for study of these hominin track-makers,” continues Dr Reynolds one of the co-authors of the study. “As well as making new discoveries about our early ancestors, we can apply this science to help modern society combat crime. By digitising tracks at a crime scene we can preserve, share and study this evidence more easily,” says Sarita Morse who helped conceive the original analysis.